Dr ILANA GALGUT is an experienced Cosmetic Physician who has worked in the cosmetic medicine industry since 1998. She is skilled in anti-wrinkle, filler and laser treatments although her passion is non-surgical whole-face rejuvenation with hyaluronic acid filler treatments. Dr ILANA strives for results where no one will know that any work has been done so that her patients maintain a balanced and natural appearance. Being a perfectionist Dr ILANA has a keen aesthetic eye and is fastidious with regard to fine details. Patient safety is paramount to her. With her background in General Practice, she understands the pressures of the modern world and the high standards placed on aesthetics in both the work and social arenas. 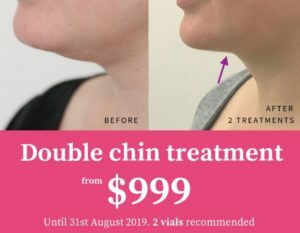 Dr ILANA is well known in the Cosmetic Medicine industry as an expert in assessment and injecting techniques, creating subtle but significant results that allow her patients to present the best aesthetic version of themselves. Because she has worked with well-known dermatologists for the past 20 years, Dr ILANA is able to treat a variety of skin concerns and enjoys helping her patients to achieving the best skin possible. In addition to consulting patients within medical practices, Dr ILANA also works as a clinical trainer, teaching skills and safe injecting techniques to doctors and nurses at both beginner and advanced levels. Because she views each person as a unique individual, she works together with her patients to tailor an individualised treatment plan to ensure results that enhance natural beauty and attractiveness. Part of her consultation includes educating here patients about aesthetics so that they develop an understanding of what will work in their best interests.